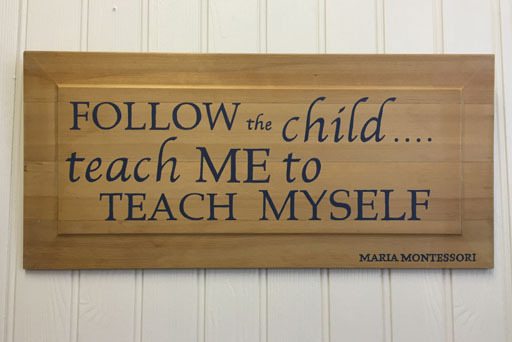 SKU: Follow the child. Categories: Bambini, Miscellaneous, Nienhuis, Pre-Primary, Quotes. ‘Follow the Child. 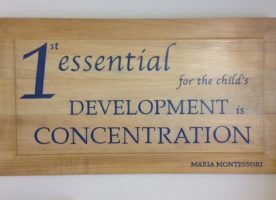 Teach me to teach myself.’ Maria Montessori Quote. Ideally suited for the staff room or entrance hall of a school or college. Hand painted on a Victorian panel measuring approximately 50 cm x 30 cm. These are made to order so if you would prefer a quote of your choice just let me know.